Morning drives: You might not be a morning person but it’s certainly worth getting out of bed for this. Your morning starts with freshly baked goodies and tea and coffee to help get started. Your Ranger and Tracker will meet you and your morning adventure begins. As sun light dawns over the Sabi Sand you’ll be treated to the beauty of the majestic African bush. This is generally the best time to spot the wildlife, as the temperature is cool and the animals are still very active, including the big cats, which will be returning from a night of hunting. We don’t want to give too much away, so just remember to set your alarm. Afternoon drives: There’s something special about the bush as the late afternoon light starts to fade. The animals start to stir from their day time slumber and predatory animals will start stalking their prey. It's common to stop for sundowners as the sun sets - it's a magical experience! The Big Five are lions, buffalos, leopards, elephants and rhinos – is an old term originally referring to the five most dangerous animals to hunt, and not to the biggest or strongest animals as commonly thought. Hunting is of course not permitted at Ulusaba, or in the protected Reserves and National Parks of South Africa! The Little Five are more difficult to spot but your Ranger and Tracker can help. They'll be looking out for rhino beetles, elephant shrews, leopard tortoises, buffalo weavers and ant lions. Depending on the weather there is usually a safari walk directly after breakfast if you fancy it. Your Ranger and Tracker will guide you and will point out various birds and animals – this is a great opportunity to see smaller creatures that are often missed when you’re on the game vehicles. We’ll also teach you some fascinating facts about the medicinal use of trees and plants along the way. Conserving and protecting the natural environment is high on our agenda! We have the ultimate respect for the bush and our team of Rangers and Trackers are committed to operating with minimal impact. We’re committed to protecting the environment around us and we focus on a number of initiatives to protect our beautiful South African bush for future generations. 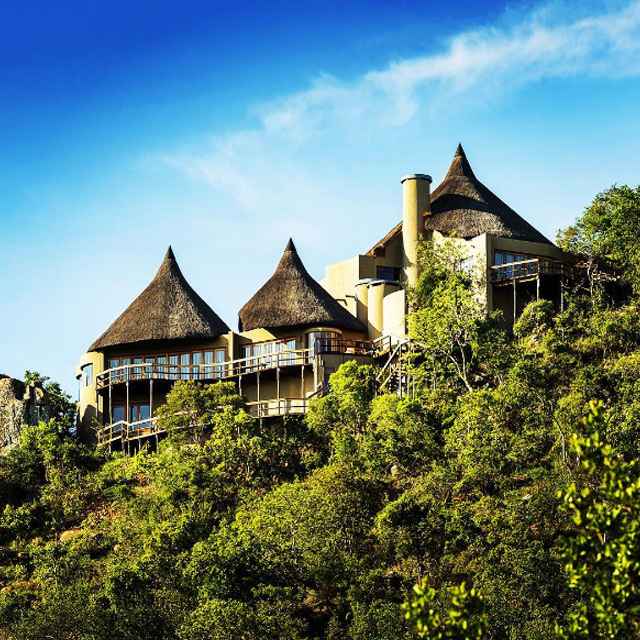 Sustainability is high on our agenda at Ulusaba. We're committed to working with suppliers who believe in fair trade, and source partners locally where possible. In the Aroma Boma spa our therapists use the Africology brand, which is made from natural products such as Marula Oil, African Potato, and Rooibos. And it's not just limited to the spa. Our highly skilled chefs in the kitchen source their fish from sustainable varieties as per the World Wildlife Foundation standards. We pride ourselves on recycling, and here's a taste of our green-friendly initiatives. We do not provide disposable toiletry items in guest bathrooms. All bottles are refilled with Africology products, a locally based supplier with a commitment to sustainability. To really capture those once in a lifetime moments whilst out on a game drive, make sure to have the best photographic equipment to hand. We have partnered with Africa Photographic Rentals in order to take the hassle out of hiring any camera equipment. Visit their website to place your order and your equipment will be ready for you on arrival at Ulusaba. Nothing gets past our experienced Rangers and Trackers on the twice daily game drives (well, mostly!). 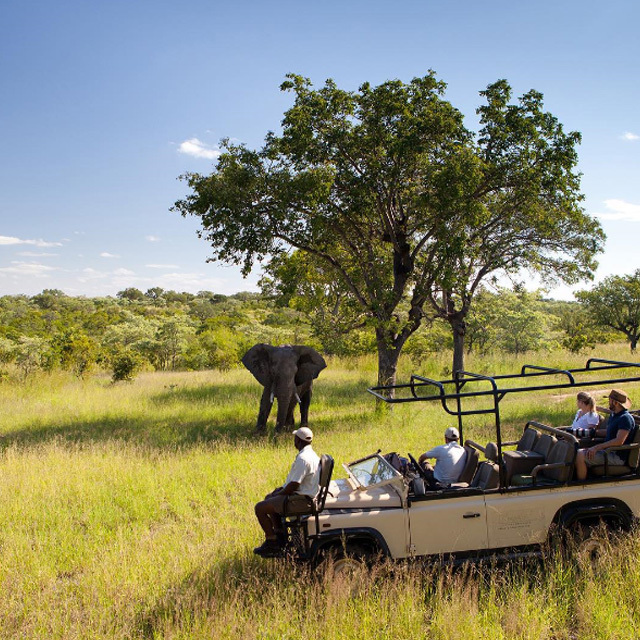 Traversing over 13,500 hectares in open Land Rovers, they will share their vast knowledge of the surrounding wildlife as they track the Big 5 and much more. Brandon has been a guide at Ulusaba for two and half years and has over 10 years’ experience, the majority of which has been in the Sabi Sands. His favourite part of the job is that every day is different, no two game drives are the same and he loves sharing the exciting experiences with the guests. His most memorable sighting was with a saddle billed stork and a cap clawless otter that were cooperatively fishing, pushing a school of bream, trapped in a large pool in the river back and forth between each other and sharing the spoils. For 40 minutes they went on until the activity attracted the attention of a big male lion who came and watched the show from a high bank over the pool. Unforgettably beautiful . Donald is known for never giving up until he has found the animal he is tracking, which always makes for an interesting game drive experience. Magical moments: "A rare sighting just south of Rock Lodge. I was watching a female leopard in a tree with two impalas and all of a sudden the lions showed up. One female lioness started climbing the tree to get to the meat (books will tell you lions cannot climb trees!) – the female leopard jumped up to the top as high as possible to get away! With one lioness already up the tree, the rest of the pride soon followed by the lure of meat – so very rare to see lions in a tree! All fun and games until the carcasses fell out of the tree with all the commotion and the lions were all stuck up there!" 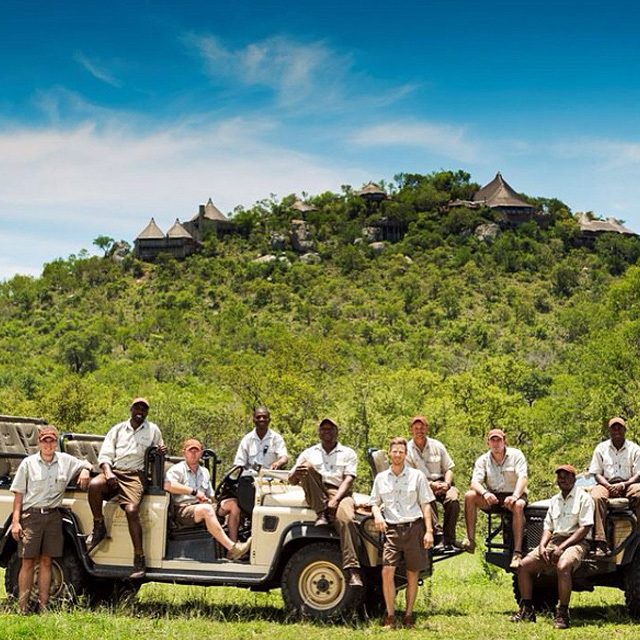 I have been a part of the team at Ulusaba for the past 22 years. The favourite part of my job is finding fresh tracks, jumping off the vehicle and following them. The excitement of finding the animal from tracking is indescribable and is such fun the guests to witness first hand. But, nothing is more disappointing that not finding an animal after tracking for hours! Out of all the animals I am lucky to see in the bush my favourite has to be the leopard. They are a great challenge for a tracker because of their elusive nature. I have been a guide for 6 years and have recently joined the Ulusaba team. My favourite part of my job is that my office is an open Land Rover in the bush and I get to share my passion with the guests. One of my favourite animals is the elephant. They are majestic and fascinating to watch and they are very intelligent. My most memorable sighting was watching a herd of about 80 Elephants running down to the river at sunset, it was such an incredible sighting watching them swim, dust bath and mud wallow. My guests and I had an incredible experience. Born in Cape Town, Kyle has been guiding for 5 years ever since discovering his passion for wildlife and conservation. His latest interest and talent is wildlife photography. "I developed my passion for the African bush at a early age when visiting my Grandfather’s lodge at Ingwelala in 1996, I was fascinated with the wildlife and nature and could not get enough and knew this is where I belong. My favourite sighting must have been when a female leopard had taken down an impala and taken it up a tree and began to feed when a male lion approached and began to climb the tree to steal her well-deserved meal, the male lion was able to grab the leg of the impala and hook it out from the branches when suddenly the dead impala hit the ground below and was grabbed by a hyena and taken deep into the bush before the lion even had time to react. To witness the interaction of three different species and the sound generated from them during this whole episode was truly incredible and I will remember that day forever. No two days in the African bush are the same and they will test you all the time which makes it so exciting and to be able to share these memories/moments with guests is the ultimate reward not to mention the amazingly strong team we have here at Ulusaba, we all look out for one another and push each other to reach our full potential and for that I am forever thankful." My name is Liam Burrough, I was born and raised in Zimbabwe in Southern Africa. From an early age I was captivated by wildlife in all forms. My nature-oriented parents nurtured my interest into a passion that led me to become a naturalist and qualified field guide. From humble beginnings, bringing snakes and injured birds into our home as a child to tracking big game and leading safaris today. I have been guiding professionally since 2012 and other interests include conservation, aviation and photography. My greatest adventures and most captivating moments have been spent with African elephants which have become a great personal favourite and now a focus for me. The interconnected dynamics of their family structure, their ability to teach each other and pass down information humble me on a daily basis. 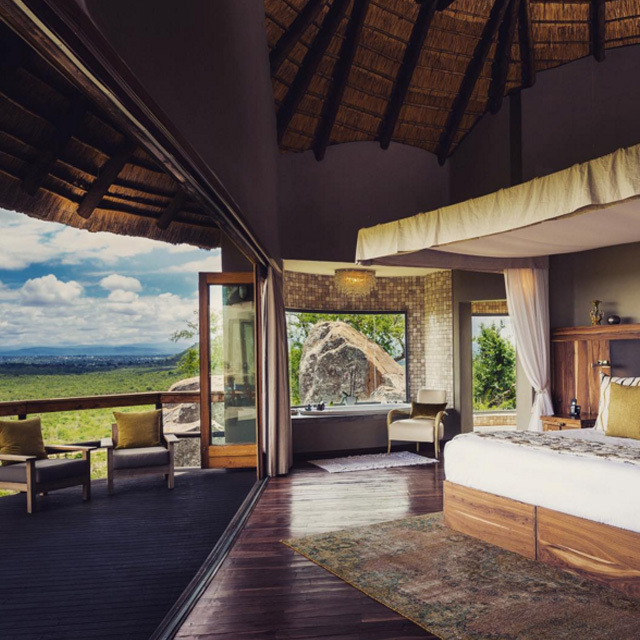 I find it thrilling to interpret this as well as the countless other natural wonders that the African wilderness holds for guests on safari at Ulusaba. 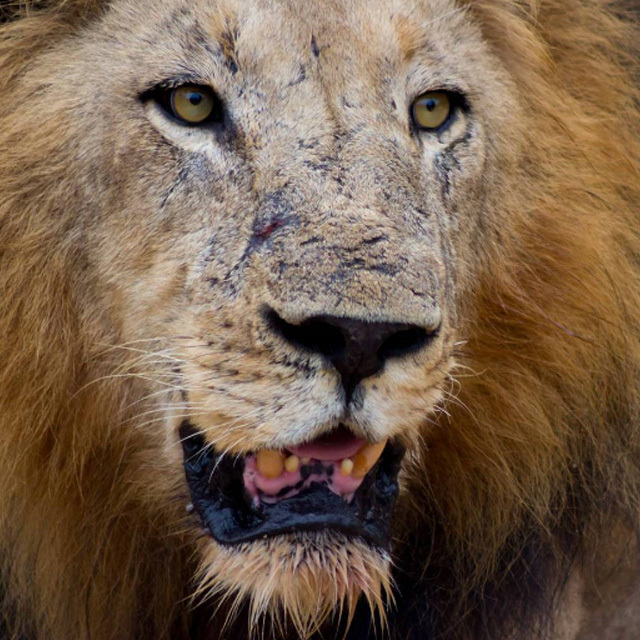 “I first started guiding in 1998 and have worked in the Sabi Sands since 2002. Being able to watch the sunrise and sunset every day and see the changing seasons is something I don’t take for granted. I feel particularly privileged when I take people on their first safari and get to share in their excitement. I am a keen photographer and I am always happy to help guests improve their photography skills during morning and evening drives. One of the favourite parts of my job is getting to spend time with the elephant herds. I love watching their social interactions, particularly the babies at play! However, one of the most difficult parts of the job is dealing with the occasional grumpy elephant! My claim to fame is that I always manage to find myself in the right place at the right time, a lot of the time. I don't mind as it often means I get to see some of the craziest sightings. I've been nicknamed 'Madness' because of it. I have a lot of favourite parts of Ulusaba, it is a difficult question. I really enjoy the people we work with, the strong family bond that we all share. But then the location and animals in the area are magic as well. My best memory so far would have to be the wild dog den site we were fortunate enough to have on our property last year, it was magic watching the puppies been raised, a first for me after so many years in the bush. My name is Sipho Zitha, but my team call me Siphi Z for short. I have been tracking for 12 years and I joined the Ulusaba team in 2018. Since I was a child I have always love the South African bush and my father was a tracker in this reserve so while I was young I got to visit him and see what tracking was about. My favourite animal to track is a leopard as it is very challenging as they are elusive animals. Stuart, Assistant Head Ranger tells us: "I'm now in my 8th year of guiding and still nature fascinates me just as much as when I was a young boy growing up in the Zimbabwean bushveld. Being on foot exploring the bush with guests really opens up our senses and instills in us a respect for the beauty of nature. It is also the best way to follow my passion for birding. The Black Rhino is an iconic animal that has always captured my imagination. Their feisty temperament and no nonsense attitude are strong qualities that I admire. The experience of rediscovering our connection with the natural world is an everyday privilege I feel very blessed to be able to share with our guests." Tom has been in the wildlife and guiding scene for the past 5 years, working and living in various natural environments. I have always been intrigued by Africa’s magnificent wilderness and I am immensely proud to share it with anyone who sets foot in our beloved homeland. His passion lies in the realm of animal behaviour as he is fascinated by an animal’s ability to survive, adapt and be constantly versatile no matter the circumstance or pressure applied. I have a holistic approach to guiding and sharing the exceptional beauty this environment holds in all of its diversity. Trevor is the man responsible for looking after Ulusaba’s conservation and ecology work. Trevor says: "We’re one big family and have a great vibe at the lodges that our guests become a part of. Our aim is to make our guests feel at home and they often leave as part of our Ulusaba family." Magical moments: Sharing how special Ulusaba is and giving our guests life changing experiences. The bush is a magical place and I've been able to share my passion with our guests, and when they leave with a tear or two it's very rewarding.